Our repair fleet is second-to-none and has the capability to provide a range of electric motor predictive maintenance services such as infrared thermographic studies, motor surge and hipot testing, motor vibration analysis, and many other tests. 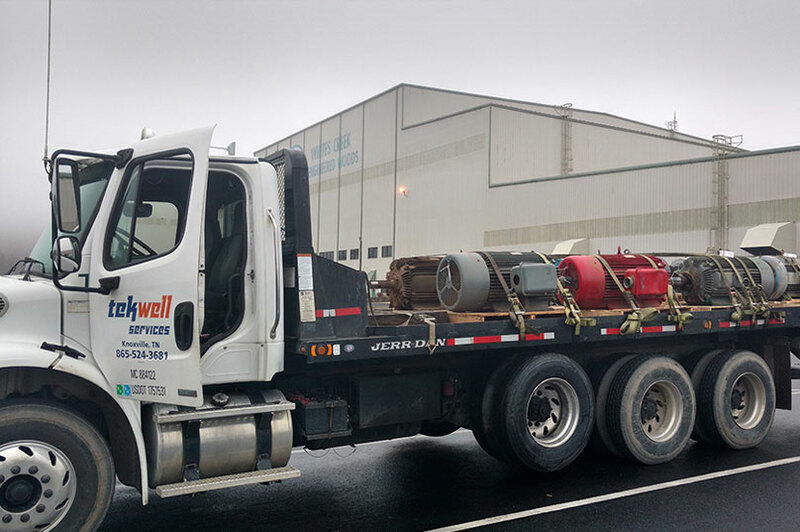 Tekwell has some of the most experienced technicians in the business–many of them have been with us for more than 20 years–and there is no substitute for experience when it comes to industrial and electrical motor testing and repair. Our service technicians are trained in advanced troubleshooting techniques that focus on the inspection process, performance monitoring, and root cause analysis across the entire system. As a result, they often uncover problems before they impact your operations. We understand that you need service during periods of low demand, whether this is second-shift, at night or over the weekend. Our service technicians are available 24/7/365, and we schedule our service and repairs when it is convenient for you. Electric motors rarely fail when it is convenient. They fail at night, over the weekend or even on holidays. We are available when YOU need us. When you call, we will call you back in less than 30 minutes, and get a service technician with the right experience to troubleshoot and resolve your problem to your location as soon as possible. Just complete our handy online Pump and Electric Motor Repair Form, give us a call at 1-800-829-7454 or email us at info@tekwellservices.com to schedule an electric motor testing service appointment today.